Ina F. Islam is a professional environmentalist whose involvement in the field spans more than two decades. With a multicultural schooling background (London, Bangkok, and Mussourie, India) she went to Bard College, New York where she got her Bachelor’s in Community, Regional and Environmental Studies. She obtained her Master’s in Urban and Environmental Policy from Tufts University, Massachusetts. She joined a Ph.D. program at City University, Graduate Center, NY to work in Environmental Psychology. (However, due to compelling reasons she relocated to Dhaka where she joined ICCCAD, IUB.) Ina received a Certificate in Advanced Studies in Disaster Risk Reduction from Ecole Polytechnic, Lausanne. Early in her career, Ina worked as the Grants and Fellowship and Liaison officer at the Rainforest Alliance, New York. In her different capacities she participated in many conferences, workshops and training programs including the meeting the of the International Society of Ethnobiology in Lucknow, UN Habitat organized training on Vulnerability Assessment in Manila, Regional Training of Trainers in Urban Climate Resilience in Manila, Asian Cities Climate Change Resilience Network programme in Indonesia and Vietnam and four Community Based Adaptation conferences in Nepal, Dhaka, and Vietnam, COP 22 in Marrakech, and partner meetings in London. Ina joined the International Centre for Climate Change and Development at the Independent University, Bangladesh (IUB) as the Assistant Director at its inception in 2009. In 2015, she became the Deputy Director of ICCCAD. Ina is the administrator of ICCCAD. 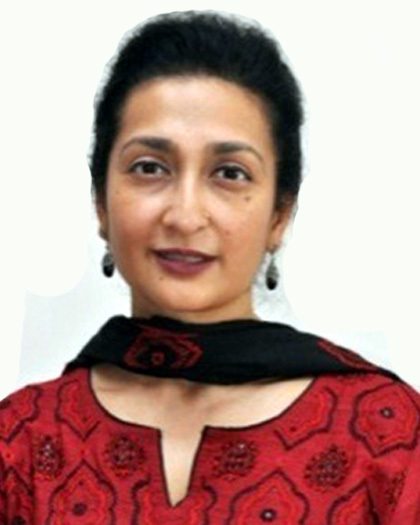 Additionally, she also oversees a number of initiatives including individual and institutional capacity building and research with Dhaka University of Engineering and Technology (DUET), Bangladesh and TH Koln (University of Applied Sciences), Germany as the Coordinator of the Centers for Natural Resources and Development Network, Cologne for IUB. Also, Ina with her team is setting up the Climate Change and Gender Programme at ICCCAD and is providing support tothe Climate Change and Development M.Sc. at IUB.